We offer all year round special packages and culinary events. We invite you to be our guest! 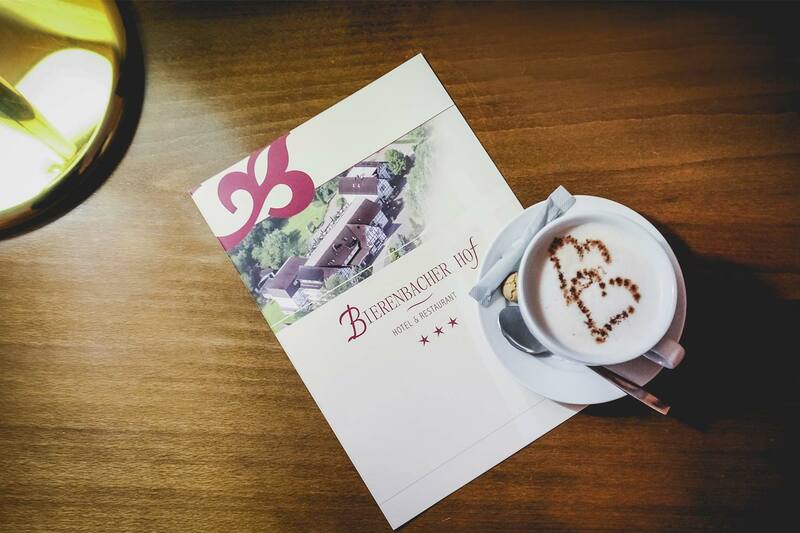 The Bierenbacher Hof is a traditional 3-star+ hotel in an idyllic location amidst the Oberbergischer Kreis, 30 minutes from Cologne. It offers 58 rooms, comfortably furnished and equipped with a 3 * star comfort. 5 modern conference rooms provide perfectly organized conferences and meetings. Your favorite place in Oberberg!